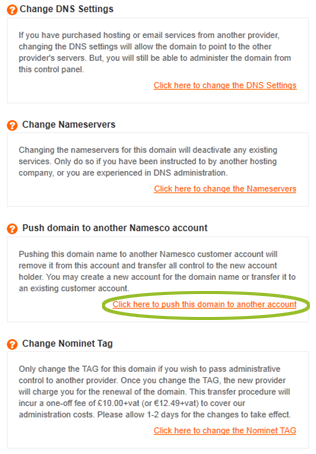 Domain names that are already with Namesco can be transferred between Namesco accounts via the "Push Domain" facility in your Online Control Panel. 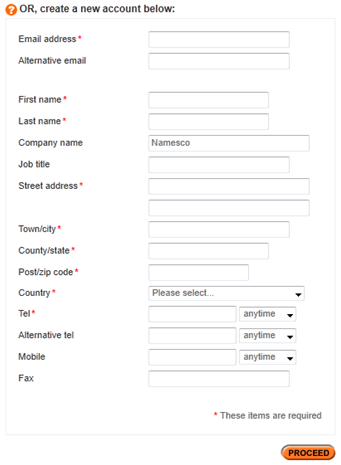 You may push a domain to an existing account by specifying the account reference (e.g. 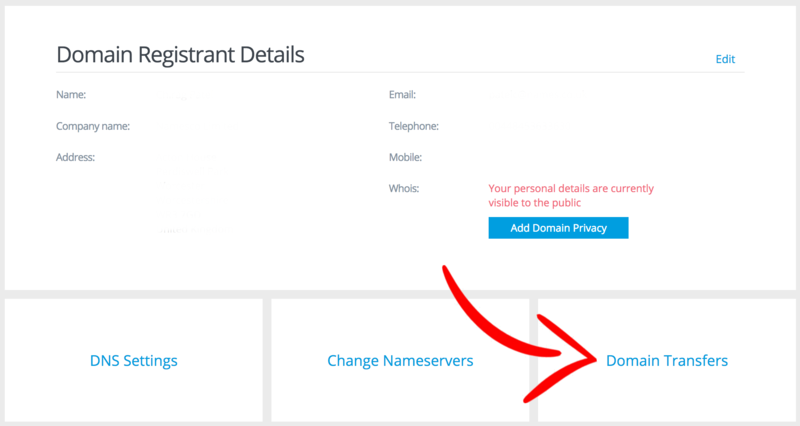 PH012345) or create a new account to receive the domain. 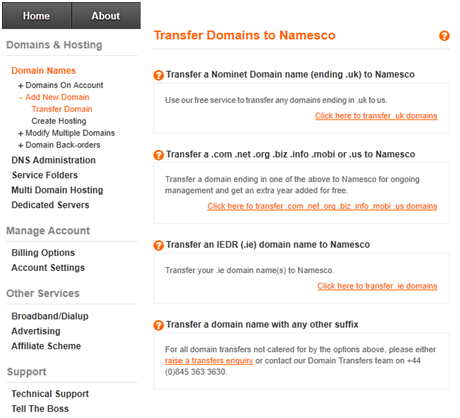 Once logged in to your Control Panel, select your domain (if you have more than one) scroll to the bottom of the page and select Domain transfers. All that is left to do now, is select Proceed and follow the on screen prompts. Please note: This facility is only available to account holders. It cannot be accessed when logged in as a site administrator.